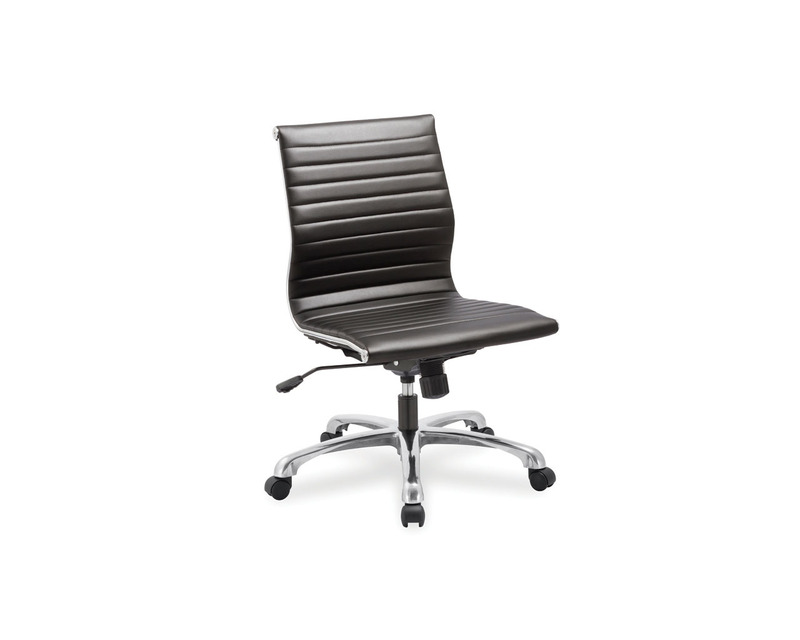 Unique European flair sets the Nova Medium Back Chair apart. 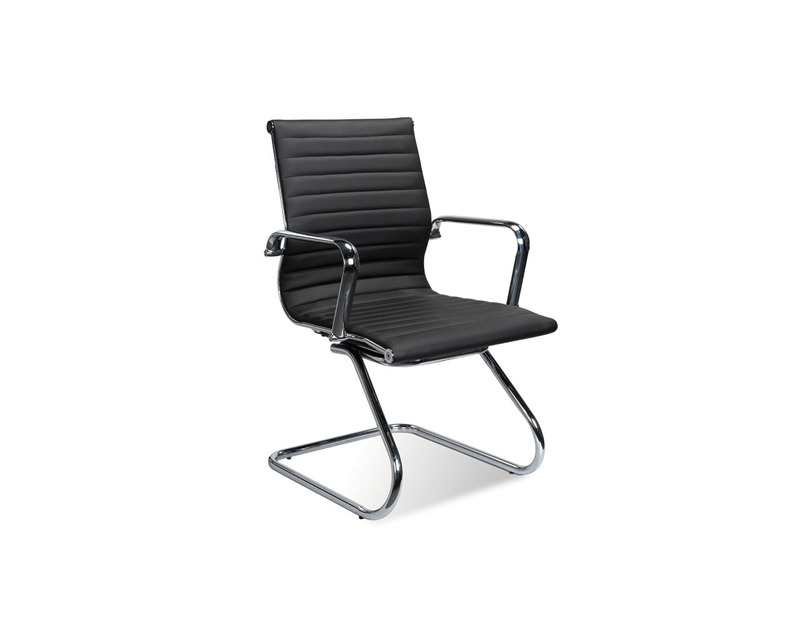 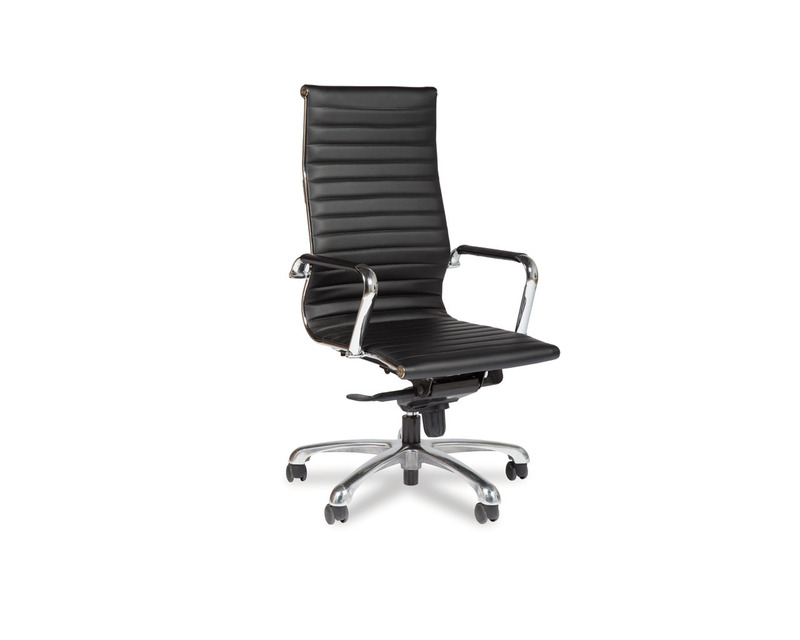 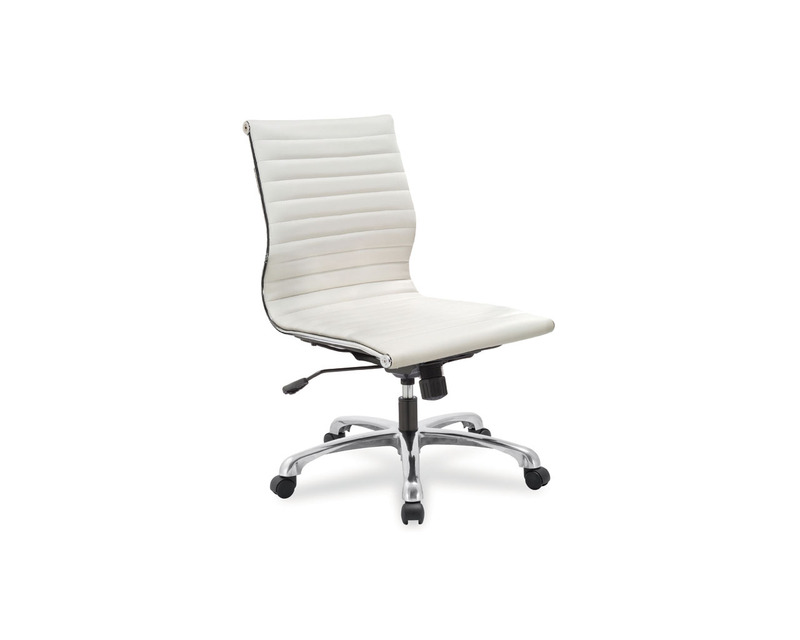 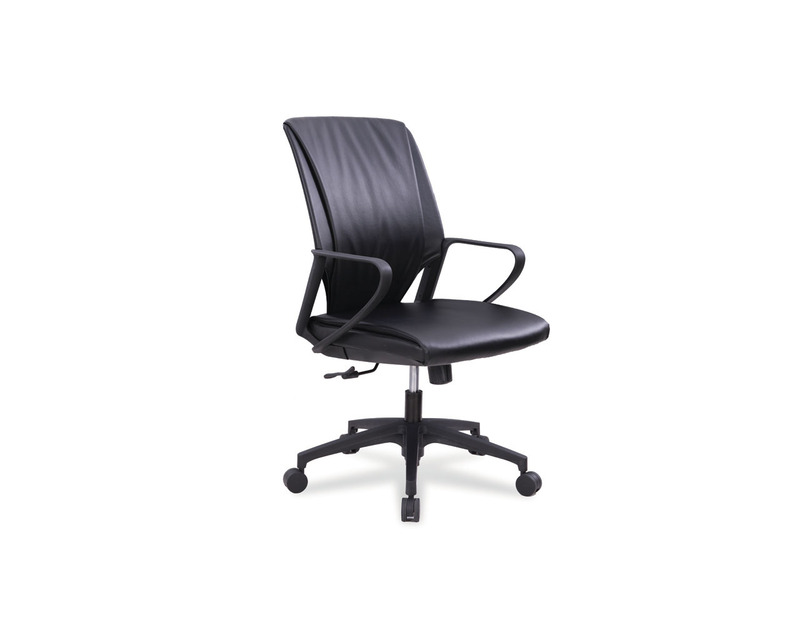 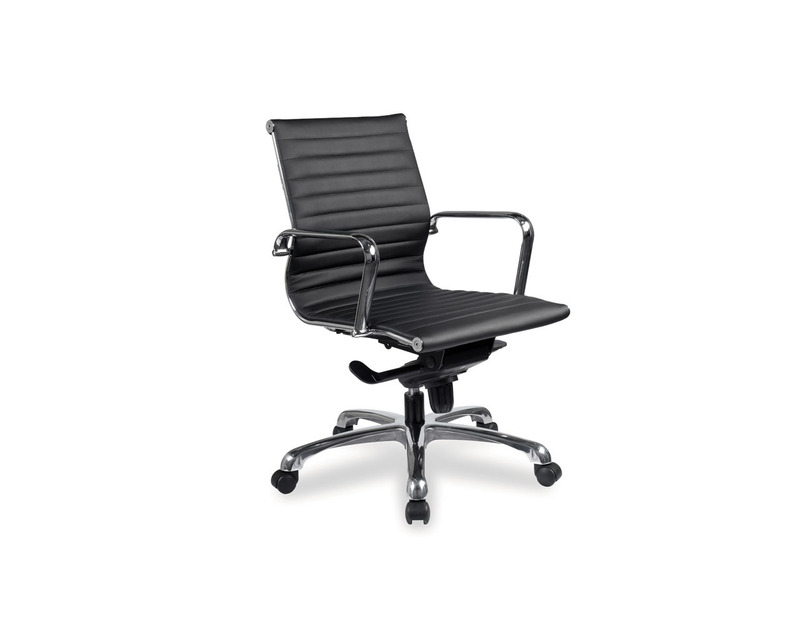 Comfortable and built to last, the Nova is perfect for boardrooms and executive offices. 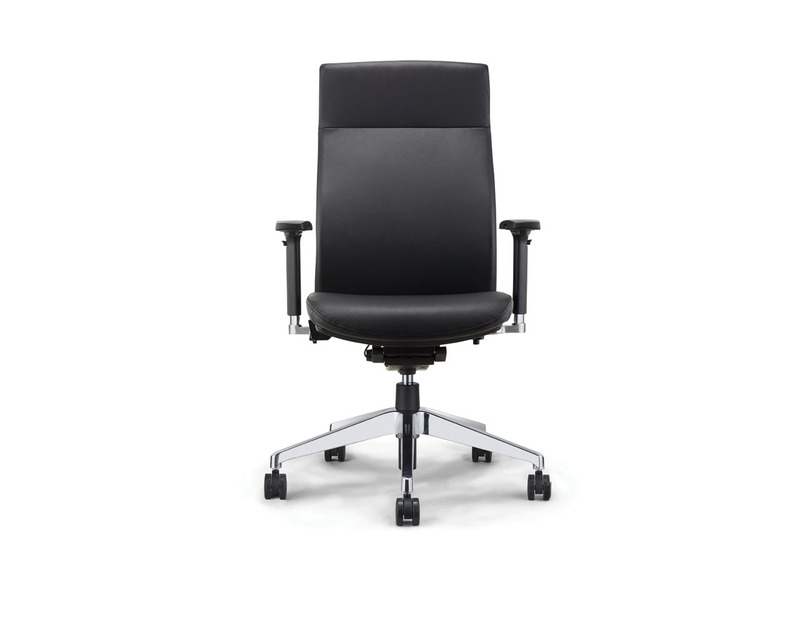 Stocked in Black bonded leather and White leathertek with chrome base. 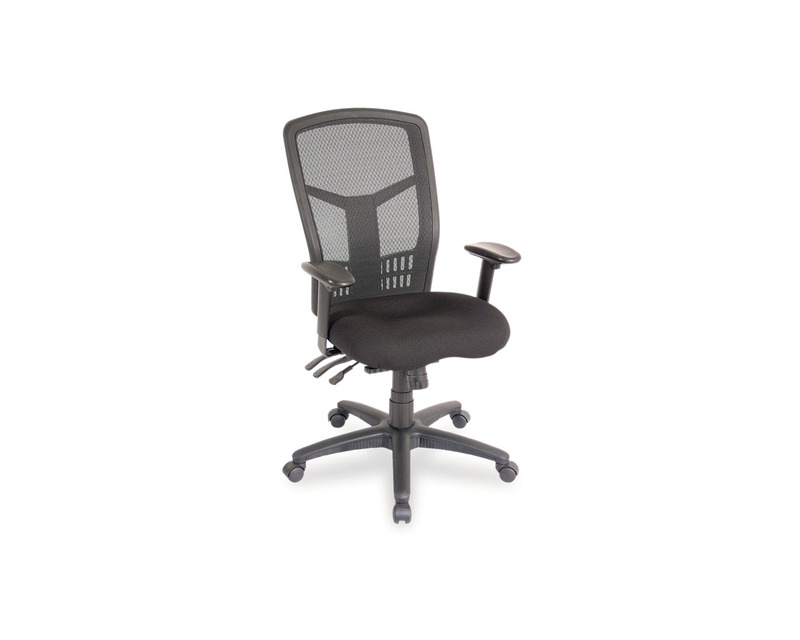 Features swivel tilt mechanism. 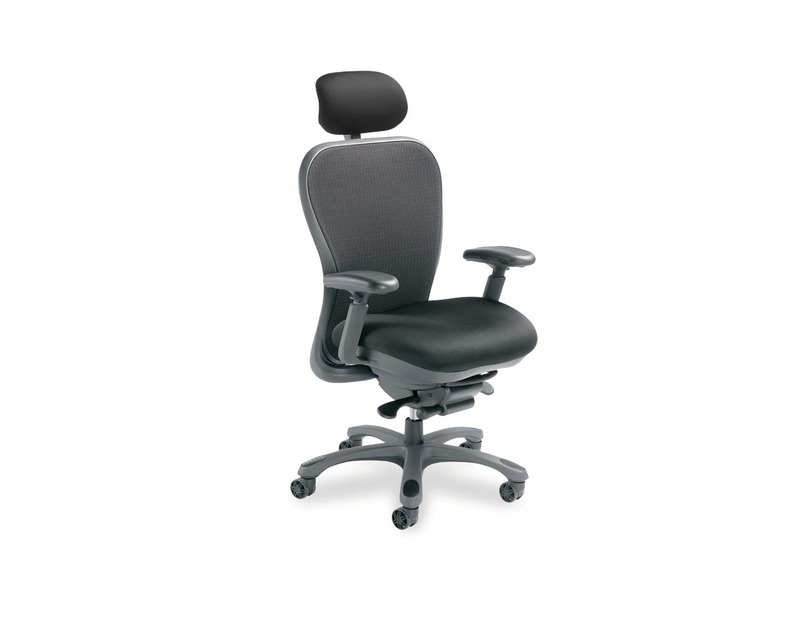 Min Back Height (Fully Lowered): 32.5"
Max Seat Height (Fully Raised): 21.25"